Dundee United are through to the QTS Scottish League Cup final after Nadir Ciftci struck with just seven minutes left to secure a 2-1 victory over Aberdeen. A tepid first-half gave way to a pulsating second at Hampden Park as United came from a goal behind to knock the holders out of the competition, Ciftci getting the winner with a header which agonisingly squirmed out of the hands of Dons goalkeeper Scott Brown. 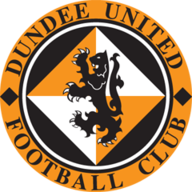 Dundee United were fastest out of the blocks and Gary Mackay-Steven almost capitalised after a quick free-kick from Ciftci but, having eluded goalkeeper Brown, he found the angle against him and shot off-target. The Terrors continued to hold sway and Calum Butcher found Stuart Armstrong, who saw his shot take a deflection and then loop onto the crossbar. Armstrong then had a shot blocked by Donervon Daniels as the Dons debutant managed to atone after giving the ball away initially, before Brown saved Ciftci’s shot from distance. More slack play at the back from Aberdeen then let Butcher in but he opted to blaze a shot over the bar from a tough angle when he might have been better off picking out a team mate. 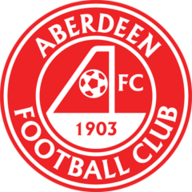 Aberdeen then began to improve and seven minutes before the break Niall McGinn burst down the left before rolling the ball across goal to Adam Rooney, and he teed it up for the onrushing Peter Pawlett, whose effort was denied when Callum Morris threw himself at the shot. Sean Dillon also had to be brave when he blocked David Goodwillie's follow-up effort as United just about survived. But the Dons took the lead three minutes after the half-time interval when Daniels, who is on loan from West Brom, found the net in somewhat unusual fashion, meeting an Andrew Considine long throw-in with a looping backward header which drifted over Radoslaw Cierzniak, who got his angles all wrong, and in off the back post. Mackay-Steven had the ball in the net seconds later as United went in search of an instant response but the offside flag was already up. Cierzniak was enduring a tough few minutes at the other end and he failed to deal with a corner minutes later but he was bailed out by Jaroslaw Fojut, who stretched to block on the line after Goodwillie had glanced the ball towards goal. And Pawlett then tried his luck with an angled shot which Cierzniak did well to grab at his near post. However, just as Aberdeen appeared to have taken charge, Dundee United grabbed an equaliser when Mackay-Steven sent over a corner and Morris (59) met it at the back post with a powerful header which Brown could not keep out. The game now turned into an end-to-end thriller and Morris did well at the other end of the pitch to block a Daniels effort, before Rooney headed the ball into the United net from a McGinn corner, only to be penalised for a foul on Butcher. Cierzniak then produced a brilliant save, tipping the ball over the crossbar when Ryan Jack’s somewhat scuffed effort from a McGinn cross seemed set to loop in. At the other end, impressive substitute Ryan Dow latched onto a weak headed back-pass from Mark Reynolds and rounded Brown before shooting for goal but Reynolds raced back to clear off the line and ensure his blunder did not result in a goal. The chances were really coming thick and fast, Goodwillie’s header from a Jack cross bouncing over the crossbar. And Ciftci then won the match in dramatic fashion, rising from what may have been an offside position to get a glancing header onto a Paul Paton cross and then watching as the ball bounced off the damp surface and squirmed past Brown and into the net. Aberdeen pushed forward, desperate for an equaliser, but it was Dundee United who went closest in the time remaining, Dow having a shot deflected just wide.